So there’s good news and bad news concerning the upcoming release of Rayman legends and it all depends which side of the fence you’re sitting on. If your alliance lies with Nintendo and you were anticipating playing the game at the end of this month then bad news for you because you’ve now got slightly longer to wait. Until September to be exact. However, if you are the proud owner of either an Xbox 360 or a Playstation 3 then rejoice because it has now been announced that Legends is being released on both platforms instead of the original plans for just a WiiU release. I for one am a particularly happy duck. Better late than never! SkyrimDuckSays ………. I’m bad and that’s good! Myself and KingDuck decided that we would go and watch Wreck it Ralph over the weekend. KingDuck had heard that it was a film of two halfs. The first half being a film about video games and the second your typical Disney film. Having seen the film for myself now I would say that’s a pretty fair statement. If you don’t mind the fact that it is a Disney Film I would recommend it to gamers everywhere. The game references are funny and clever and even the Disney element of the film is enjoyable. Next time I play any game I will be seeing the bad guys in a whole new light now and it’s all thanks to Ralph. SkyrimDuckSays ………. It’s my Precious! From Minecraft Lego to Mithril bricks. This week I’m nearing the end of my journey through Middle Earth in Lego Lord of the Rings and what a long journey it’s been. Just like the books this Lord of the Rings game is seemingly endless. Not that I’m saying for one minute that this is a bad thing. In fact it’s a definite improvement from previous Lego games such a Harry Potter Years 5-7 which lasted me all of one week before I had 100% completed it and was ready to trade it in. However, there was a noticeable change to the Lego series with the release of Lego Batman 2 which came with a much larger hub world which meant that the introduction of a map was now necessary. 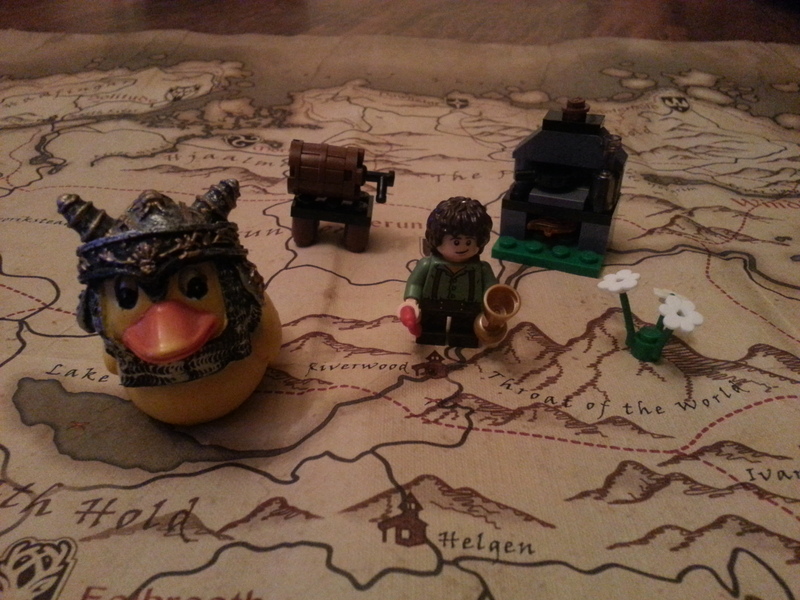 Lego Lord of the Rings takes this new found growth and runs off laughing with it. Now we have not just a whole city to explore but a whole world. Logic dictates that with more room to play in there should be more to play with and it may just be my imagination but this certainly seems to be the case here. For example rather than the citizen/ student in peril that we have encountered before we now have quests to complete which require levels to be replayed in order to find required objects. The most noticeable new thing to me however was that you can now play in two places at once by switching between characters who are not together. I found this to be quite an interesting new addition. My favourite however was that I got to play with a bow. Nothing will ever beat that, ever! SkyrimDuckSays ………. Money? What’s that? Can you hear that sound? That my friends is the noise my pockets make when they are crying and currently they are sobbing uncontrollably because Activision have just announced the coming of the next generation of Skylanders. Just as wallets and purses everywhere are recovering from Giants, Swap force is coming to deal another blow to your bank account and this time it looks set to be twice as damaging. 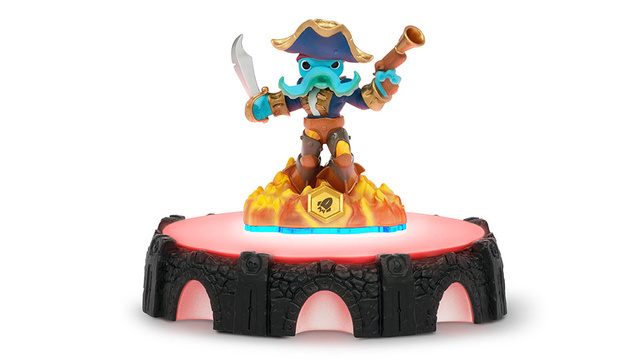 Unlike with Giants there is a shiny new portal for you to splash out on instead of just the game and the 10 million figures that go with it and on top of this there is now a whole new dimension that has been added to the newest Skylanders. You can now alter the way your Skylander plays by ripping them in half. Yes you heard me right. The top half of your figure changes it’s attack and the bottom it’s movement. So far this is all sounding very expensive to me. Luckily I’ve got all the Summer to save up first. Let’s hope it’s a long one. SkyrimDuckSays ………. Retro Funs for Reasonable Funds! So I may be slightly late but ‘Dear Santa I would very much like’ and for a very reasonable donation of 65 U.S dollars this laser cut Space Invaders chess set could be all mine. NMI Laser have taken their idea to kickstarter.com to raise $5000 to fund the project. $65 or more is the highest donation bracket buying you a full chess set but for only $10 or more you bag yourself 2 of the Invader pieces. The set is laser cut from acrylic and in my opinion it looks absolutely fantastic. So if you’re fancying being the proud owner of one of these get yourself over to kickstarter.com before donation time is up.